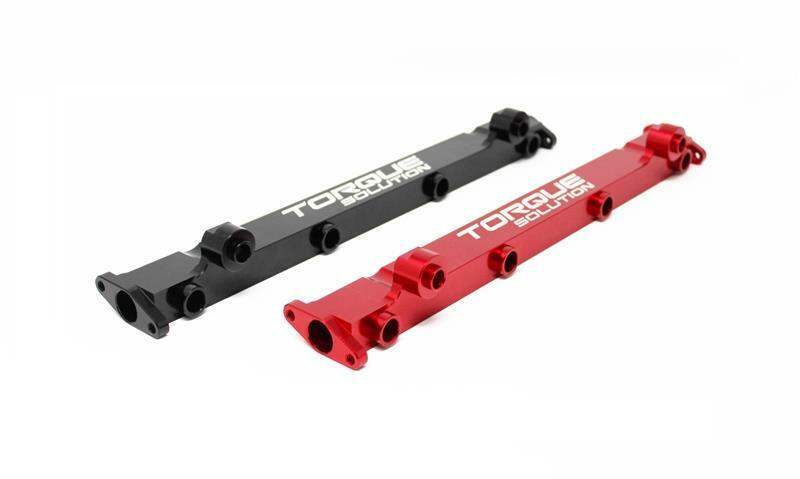 Torque Solution Fuel Rails are a must have for high horsepower applications and a perfect complement to your high flow fuel injectors. Our rails are made from 6061 Billet Aluminum with a large bore inlet/outlet for maximum fuel flow. Designed to work with factory lines and regulator or can be combined with our optional -6 or -8 AN fittings for your own custom fuel setup. Fuel rail spacers are built into the rails. All our rails come anodized with our logo engraved into the billet to look as good as they perform.